An architectural term borrowed by tube-bending to describe region of material flow. 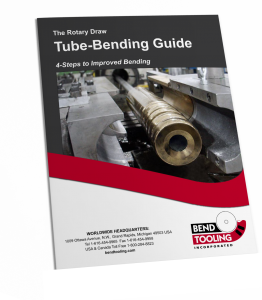 The intrados is that section of the tube which is undergoing compression during the bend forming process; that part of the tube of which the wall thickens. Roughly, the intrados corresponds to inboard half of the tube bend, but in fact does not extend all the way to the centerline radius. The intrados is separated from the extrados by the neutral axis.